Giving up social media for 47 days for Lent was the easiest thing I’ve ever done, but having all of that extra time and space during the day to sit with my thoughts and feelings was harder and way more uncomfortable than I ever thought it would be. School and life threw me some curveballs that I truly don’t feel like I could’ve handled had I been on social media (looking at you, unwanted sleep deprivation), and taking something out of your life that doesn’t always serve you is such a nice reset for your soul. You can read my original words on Lent here. We don’t always think about how much time we spend on our phones and how we sneak in social media into every little moment of our daily lives: when we’re waiting in line at the grocery store, while we’re waiting for a traffic light to turn, even when we’re sitting in someone else’s presence. It hurts my heart that the one thing we need most in this world is other people to lean on, laugh with, and to just do life with, yet we’re replacing them with glowing screens and push notifications. I can’t justify spending the majority of my time scrolling on social media when there’s a whole world and human race out there aching to be seen for all its worth. We were made for community. We were made to lift others up. We were made for true connection that cannot be fulfilled from a screen. It’s so easy to get discouraged, feel left out, and start the dirty game of comparison when you’re constantly seeing the highlight reels of others’ lives. It’s convenient to opt out of truly investing in other people’s lives when you can just see what they’re up to on a screen throughout the day. My intention for this Lenten season was to only investigate my own life, not the lives of others. I wanted to make as much effort as possible to spend the time that I usually would be on social media in God’s word, making space for Him, and showing up for others. I hoped that in doing so, I would make more time to invest in not just my life, but also in the lives of others, and praise God, that’s exactly what happened. Quality time is my highest scoring love language. I strive to be that person who shows up for other people. I crave deep relationships with my people, and I want to be their consistent person to lean on. During Lent, I put more effort into simply being there for my friends, making an effort to build and tend to new friendships, and reaching out to my family. This included tons of phone and Facetime calls that seriously gave me life. 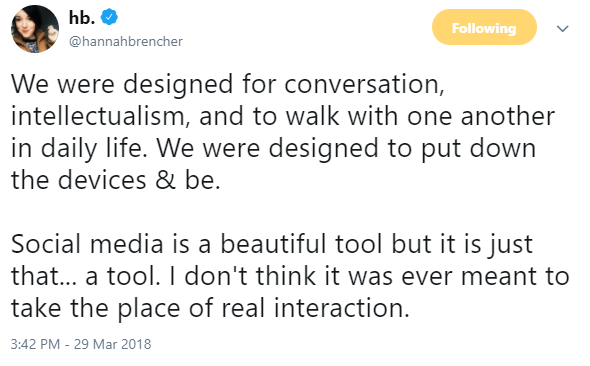 A few times it involved me getting breakfast or brunch and sitting across from people that I follow on the screen but have never actually interacted with in real life, and those conversations were so full of the depth that I desperately long for. I hand-wrote and mailed off three love letters this season, and I’ve already gotten more planned and am eager to send them. People need people, and being behind a screen for them simply doesn’t cut it. Putting in true effort to see and know people is what being human is all about. For the past two years, I’ve been making extra effort to consistently be in the word every single day. Sometimes this doesn’t happen or it doesn’t look as nice as I would like. I’m one of those people who likes to finish what I start right then and there. If I knew that I wouldn’t be able to finish a study session in a certain time period, I just wouldn’t do it. But whenever that happened, I wouldn’t be in the word at all that day, and I realized that sometimes I have to give up the unrealistic expectations I put on myself, give myself grace, and do the best that I can with what I have. This season, I completed the She Reads Truth Lent Study in Exodus: See the Lord’s Salvation. I suffered from major insomnia for the entirety of Lent and it was miserable, but it did give me a lot of extra time in my day to read and dig into this study. 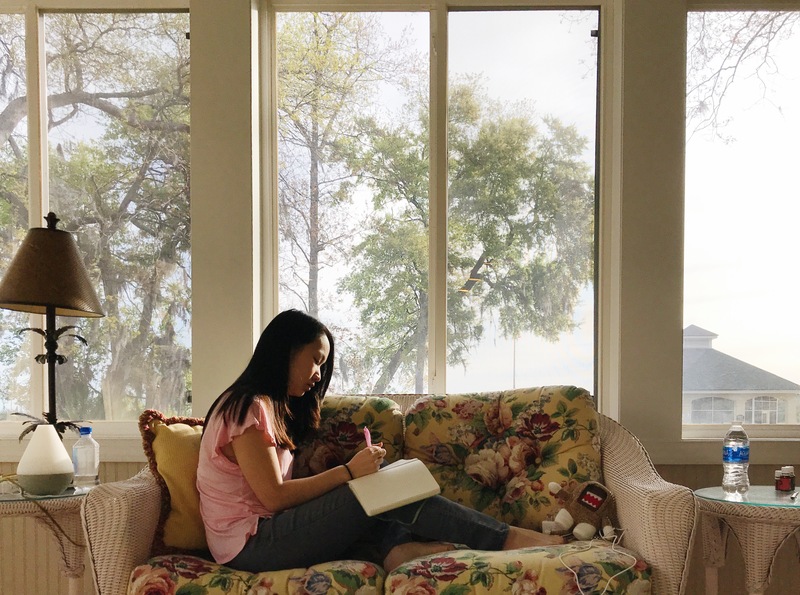 Most mornings I was up around 5 and had plenty of time to read, cross-reference, and take notes from this study, and it was oh so good for my soul. Some mornings I wouldn’t feel like pulling out my physical study Bible, journal, and colored pens and highlighters, but I still pushed myself to read all of the scriptures and commentary straight from the app instead. Last year, I only made it through day 25 in the SRT Lent Study from Isaiah before giving up because of my inconsistency. Praise the Lord for the discipline and perseverance to make it through this year. Since I’ve been working on being more intentional and consistent with my walk with God, I make a conscious effort to ensure that my time with Him in His word and in prayer is present and uninterrupted. Since I wasn’t on social media, it was pretty easy to not get distracted by the urge to scroll, and I was usually awake before the rest of the world so I didn’t have to worry about people interrupting me with texts or calls. I would still highly suggest leaving your phone or other devices in the other room or turn on that ‘Do Not Disturb’ mode. It has seriously changed my time with Him. Here are some of my favorite things I came across and held onto during the Lenten season. Now that I’ve been off of social media for so long, I can’t go back on it in the same way as before, and that was the whole point. When I was spending my time in truth, everything else just feels like a waste. I’ve gone on Twitter and Instagram a few times in the last few days, but I don’t feel the need or desire to be on it nearly as often as I used to, nor do I feel like it gives me as much satisfaction as it once did. I’m setting boundaries and making sure that I’m using it more intentionally and in healthy ways. I listened to two podcast episodes about how social media affects the brain, which helped me formulate how I was moving forward and slowly back into the whole realm of social media. You can listen to both of these episodes here and here. I’m seriously limiting my time on social media; I don’t check social media when I’m out and about or at work – only when I’m home and no one else is around. I have limited time with my roommates and friends here, and I don’t want to spend my time with them doing anything else but being fully present with them. I’m limiting who I follow on each platform. I only want to follow accounts that inspire and give me life and don’t make me feel like I’m in a competition ring to see who’s life is more picture-worthy. My favorite words on comparison can be read here. I’m consciously choosing to be in the Word over the world at the start of each day. I will not allow myself to go on social media for the day unless I’ve gone to the truth first. And for real, if I put this in writing on the internet I swear I’ll stick to it because the guilt of knowing that this is out there for the world to read holds me accountable. We are told in Colossians to set our minds on things above, and in Philippians we are told to think on things that are true, honorable, just, pure, lovely, commendable, things of excellence and things worthy of praise. It doesn’t feel right to start each and every new day with anything less than these things. I’m taking a sabbatical from social media every Sunday. I’m moving toward making my Sundays a true day of rest, and that means cutting out extra noise from social media. I didn’t want to think of this whole ordeal as me “giving up” something, but rather “making more room” for other things that will serve me far more than anything I can get from scrolling through the lives of other people. I had more time to truly invest in and be fully present with the people around me, and more importantly, to meditate on God’s word, truth, and promises. When you make more room in your life for Him, God shows up in the sweetest ways possible and in ways that you never knew you needed. He’s already there, waiting for us, pursuing us, calling us back to Him. All that He asks us to do is to meet Him there. This Lenten season was an absolute whirlwind that grew me and changed me. It was the most calm, serene period of time I’ve had in a very long time, and I’m so glad that I was wholly there for all of it without the world of social media screaming for my attention. Love love loveeee this post! It makes me want to give social media up periodically as well. Thank you thank you thank you!! Taking off just one day of the week seriously makes a world of change!! Highly highly recommend!